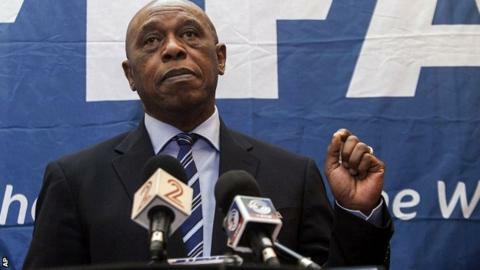 South African businessman and former political prisoner Tokyo Sexwale is the fifth candidate to declare that he will run for the presidency of Fifa. The South African Football Association confirmed on Saturday that it supports the 62-year-old's bid. The announcement comes before Monday's deadline for the 26 February vote. Earlier this month, Fifa provisionally suspended its president Sepp Blatter and vice-president Michel Platini for 90 days over corruption allegations. Prince Ali Bin Al Hussein of Jordan, former Trinidad and Tobago midfielder David Nakhid, ex-Fifa official Jerome Champagne and Platini, president of European football's ruling body Uefa, also say they have submitted nominations for the Fifa presidency.